Los Angeles County, Calif. – This week, the Greater Los Angeles County Vector Control District (GLACVCD) confirmed another mosquito sample that was positive for West Nile virus (WNV). The mosquito sample was collected in a vector control trap located in Gardena. This is the second WNV positive mosquito sample collected so far this year; GLACVCD confirmed the first sample earlier this week from San Fernando Valley. Residents can expect West Nile virus to be pervasive throughout L. A. County as the year progresses. Vector control advises residents to take the necessary precautions to avoid mosquito bites by using insect repellent. Effective repellents contain EPA-registered active ingredients such as DEET, Picaridin, oil of lemon eucalyptus, or IR3535. Residents should also dump and drain any standing water around the home. This prevent mosquitoes from laying their eggs in any container that can hold stagnant water. In addition, residents are advised that many flying insects are out in large numbers during this time, and not all of them are mosquitoes. While GLACVCD confirmed the infestation of Aedes mosquitoes in more than 20 communities throughout the District in L. A. County, there are certain communities experiencing biting from Aedes mosquitoes. Currently, a majority of Service Requests are coming from residents in Silver Lake, East Los Angeles, and Commerce. Many residents are unable to spend time outdoors during the day. The Aedes mosquito is invasive to Los Angeles County and is great at transmitting (vectoring) Zika, chikungunya and dengue fever viruses. 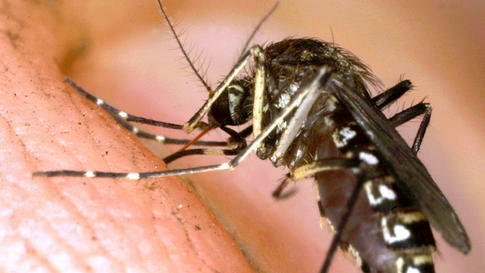 Those viruses are currently not transmitting from mosquitoes to people in L. A. County. The importance of avoiding mosquito bites remains the same with Aedes mosquitoes. Read more about Aedes mosquitoes here. If residents are still experiencing mosquito problems even after dumping and draining all standing water, they can contact the Greater Los Angeles County Vector Control District at (562) 944-9656 or visit www.ReportMosquitoes.org.